Welcome to Boy Scout Troop 87! Whether you are crossing over from Webelos Scouts, transferring from another Boy Scout troop, or entering Scouting for the first time, the experience you are about to embark upon has the potential to be one of the most memorable and rewarding of your lifetime. And, what’s really unique about this program is that it is led by the boys themselves! 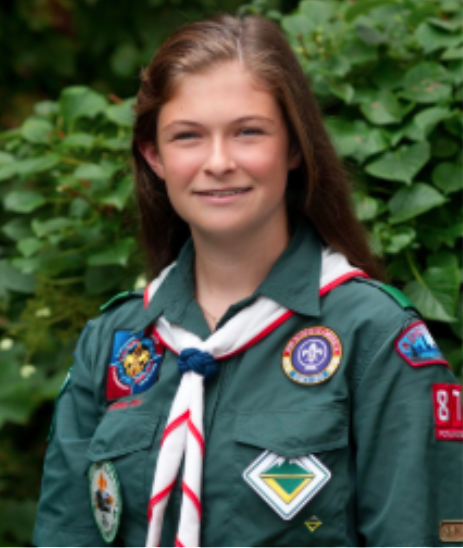 Troop 87 has a robust program with a very wide variety of activities available to the Scouts. The troop has a campout almost every month of the year. One month the troop may be rock climbing and rappelling; another month they may be snow skiing; on other campouts the focus may be on basic Scout skills such as first aid, knot tying, cooking, or fire building. 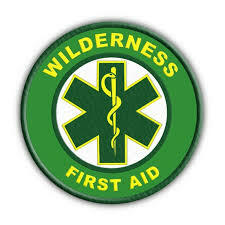 Frequently our program also includes, at some point in the year, activities focused on shooting sports, wilderness survival, and leadership development. The activities on the schedule each year depend on what the boys decide to include in their program. Summer time offers some even more exciting opportunities. Typically we organize one or two summer camps for young Scouts and upcoming Eagles alike. For older Scouts (14 and up), high adventure trips are organized that might involve backpacking, sailing, scuba diving, white water rafting, or canoeing. These are high-octane events that challenge the Scouts both physically and mentally while producing life-long memories! Fundamental to the structure of the program is the concept that the troop is boy-led. This does not mean that the boys are in charge and whatever happens just happens. Rather, consistent with the original intent of Baden Powell, the founder of the worldwide Scouting movement, it means that the boys lead the troop under the direction of an adult leader. 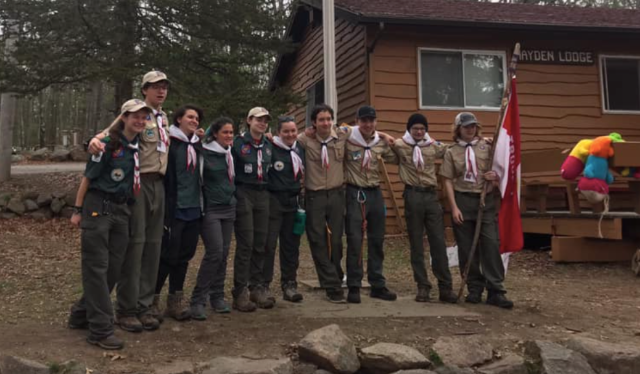 When the first Scout units were established, Baden Powel observed: “We then made the discovery that boys, when trusted and relied on, were just as capable and reliable as men.” At Troop 87, we fully endorse the boy-led concept and are committed to supporting the boy leadership so that they may be successful and effective in their efforts. 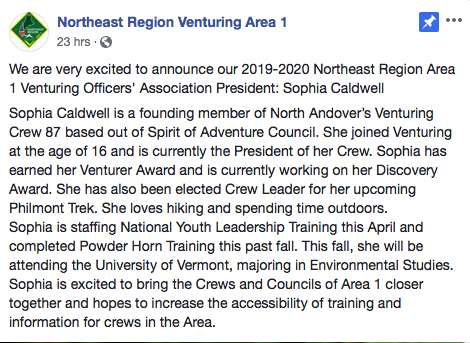 For those who want to enhance their leadership skills even more, Boys Scouts of America (BSA) offers additional leadership training opportunities including National Youth Leadership Training (NYLT) and Brownsea, offered locally, and National Advanced Youth Leadership Training Experience (NAYLE) at Philmont Scout Ranch in Cimarron, New Mexico. These two programs provide world-class leadership training delivered in an outdoor setting. We are excited that you have decided to join the Boy Scouts and in particular Troop 87. We look forward to working with you and we know you are in for the experience of a lifetime! Reminder Graduating Seniors: We have a Scholarship information tab in our website Menu. Interested in Scuba Diving? Summer Camp offers a SCUBA week each year. Check the Council listing for the SCUBA Camp week each year. Scouts who attend NYLT should be at least 1st Class and have attended at least one week at a week long summer camp in the past.